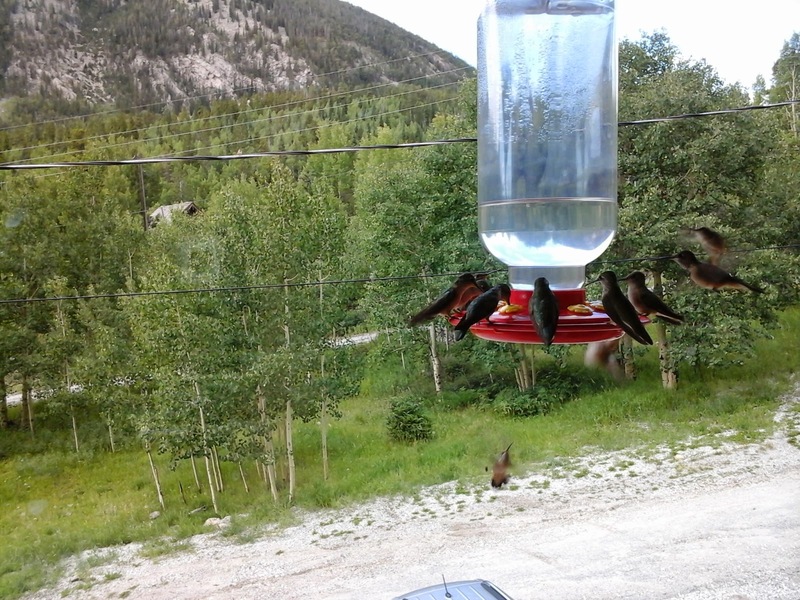 Humming birds are in abundance in the high country, very enjoyable to watch while sitting on the deck at Ski Town Condos. Hummingbirds are the only birds with the ability to fly backward; will chatter or buzz to communicate; flap their wings about 80 times per seconds. All About Birds: A hummingbird of subalpine meadows, the Broad-tailed Hummingbird ranges across the south-central Rockies in summer. It possesses a number of physiological and behavioral adaptations to survive cold nights, including the ability to enter torpor, slowing its heart rate and dropping its body temperature.